Hello Hookers. I'm so excited to share my project today. 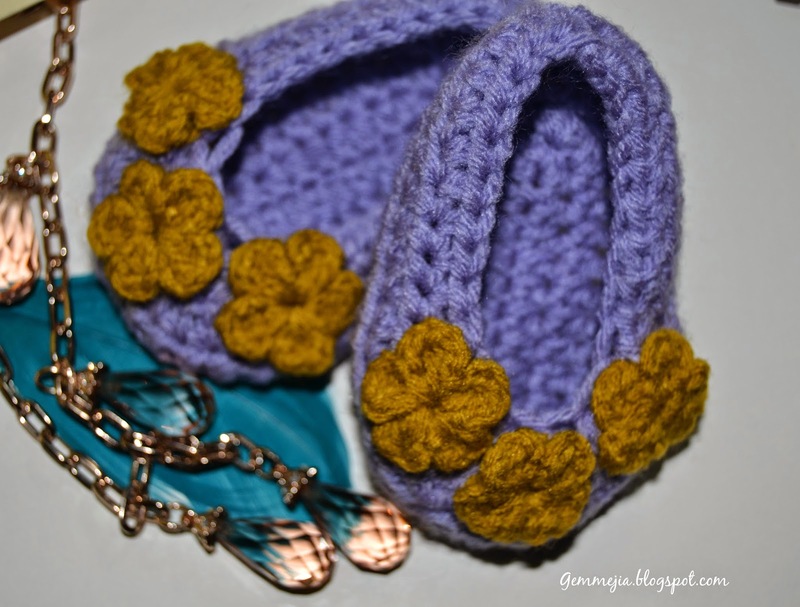 This is my first ever baby booties. This is easy to follow. 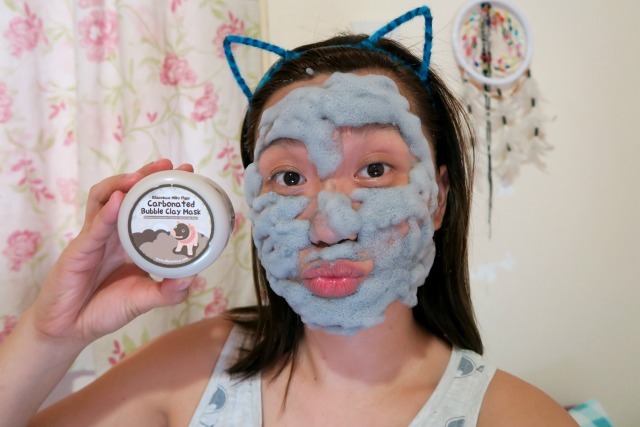 Perfect for beginners. We can work all together. Babies are heaven sent. I really love seeing babies. The eyes, cheeks, innocent looks, lips and the precious smiles. Wishing to have my own in the future. But for now, I'm fun of making baby stuff because they are so cute. 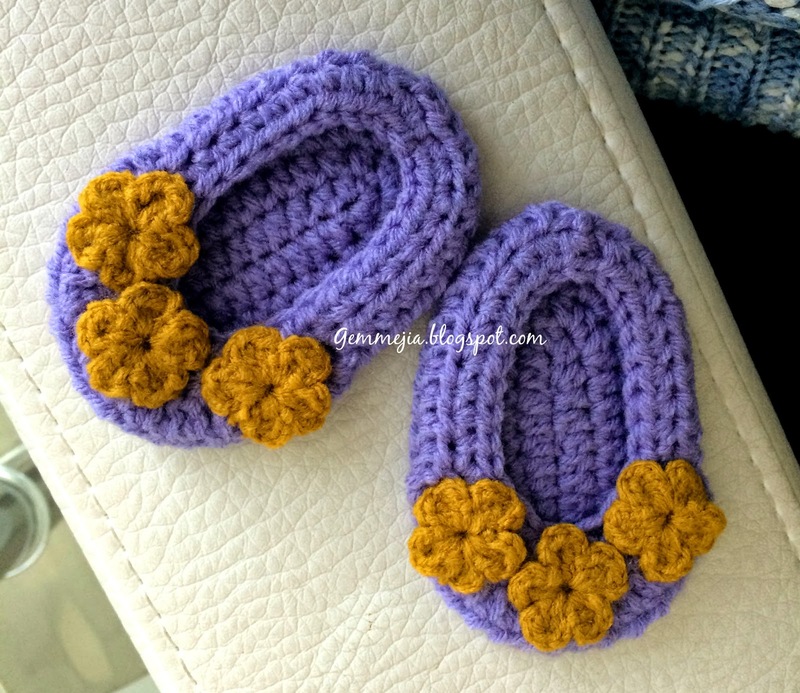 These booties are perfect for new born up to 3 months old baby. You'll be needing yarns, hook and a tapestry needle. Now, we are ready. Let's get it on. Chain 11. HDC in the 2nd chain from the hook. HDC for the 8 stitches. 2HDC in the last stitches. SS in the top of the last stitch. CH 2. HDC in the base of the CH2. HDC for the 8 stitches. 2HDC for the 3 stitches. HDC for the 8 stitches. 2HDC for the last stitch. Always SS at top of the beginning of CH 2. CH2, HDC in same stitch of the CH2. 2HDC in the next stitch. And for 9 stitches use HDC. 2HDC of the next 6 stitches. HDC in each stitch until you have last 2 stitches. 2HDC for the last 2 stitches. As always, SS. CH2. HDC for the 10 stitches. DC2tog 9 times. HDC for 9 stitches. SS. CH2. HDC in same stitch of the CH2. HDC for the 10 stitches. HDC2tog 5 times, HDC for the last 9 stitches and SS. Make a pair. 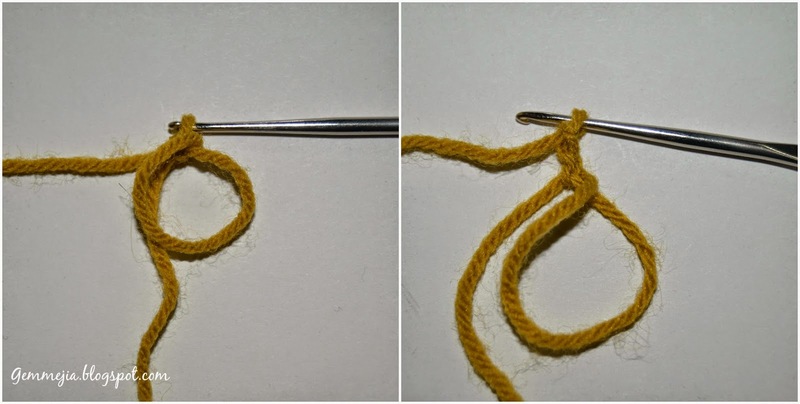 Sew the excess yarns using the tapestry needle. 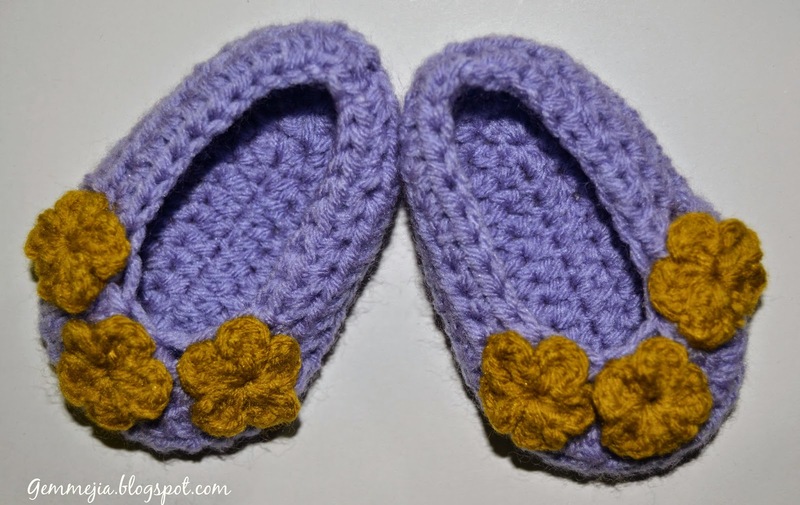 Add crochet flowers as embellishment for the booties. Make a magic ring. CH 2. 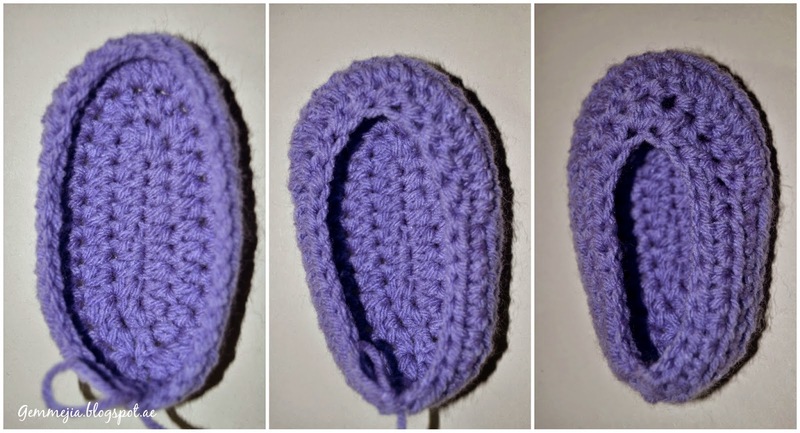 2 Double crochet. CH2 SS. Repeat until you have 5 petals. 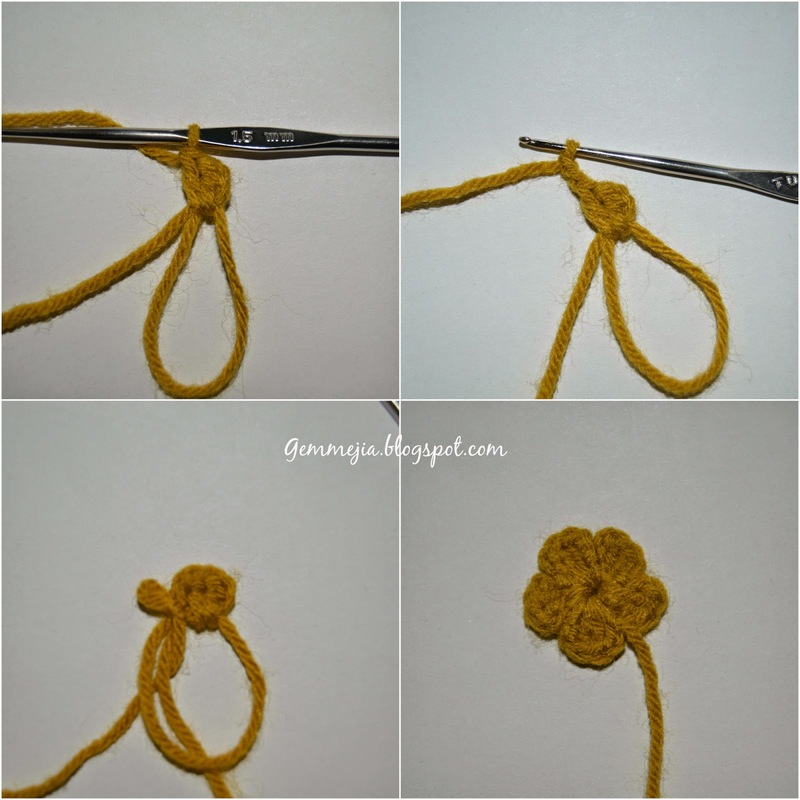 Pull the excess yarn from the ring to tighten the circle and cut excess. Her work are so beautiful. Thank you for reading. Happy hooking! !